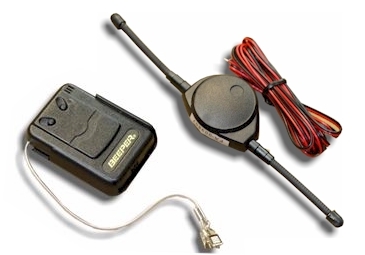 A must have add-on to any Parabeam Driveway Alarm / Perimeter Alarm system. Receive wireless alerts from the supplied relay transmitter powered by the 2 or 4 zone long range base receiver when it receives an alert from any wireless security beam. Use as additional receiver in bedrooms, office etc and leave powered on by using the mains power adapter - see below. pre-programmed tunes & tones, belt clip, cord aerial with security clip, L.E.D. flasher, silent mode (just flasher), batteries included.